‘Srimad Bhagavata Maha Purana’ is the eighteenth and the greatest purana in Hinduism. Being the most unexcelled mythology of Hindu culture; its foremost theme is to unveil the importance of devotion- Bhakti Yoga among the followers. In Bhagavata Purana, there are intrinsically 12 skandas (chapters) and 18000 verses (shlokas) in totality. Besides, Maharishi Ved-vyasa– the original creator of Bhagavata purana revealed Lord Krishna as God of all gods and traditionally disclosed various stories/love tales of Krishna God in more comprehensive convention. In each of these religious folklore stories of Lord-Krishna, Vyasa displayed the innumerable essence to attain salvation (moksha) along with enchanting adoration and Romanticism of Lord Krishna in a way that is worthy of attention. 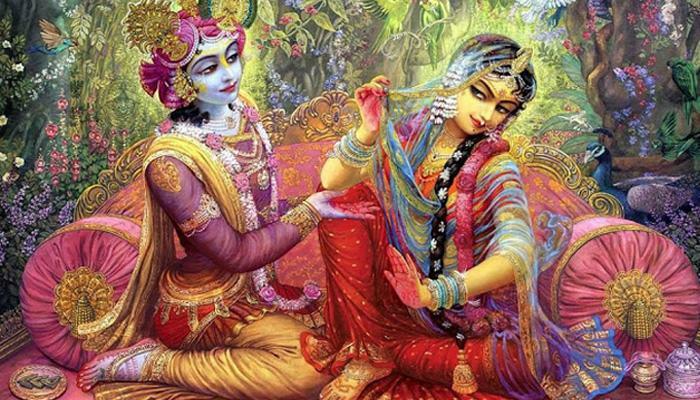 Was Lord Krishna the Husband of 16,108 queen? It is believed that Lord Krishna had 16, 108 queens (maharani) and 8 principle wives. However, Sri Radharani was the most beloved of all and very close to Lord Krishna in every aspect. In essence, Lord Krishna always wanted to marry Sri Radha yet he could not (due to some adverse unfavourable context). On scrutinizing the personal life of Lord Krishna, it has been perused that he always respected women’s desire. The marriage with Goddess Rukmini and Mitravinda are great examples of his nobility. While respecting their wishes, Lord Krishna had kidnapped them from Swayamvara- a traditional practice of choosing spouse among various bride-grooms. 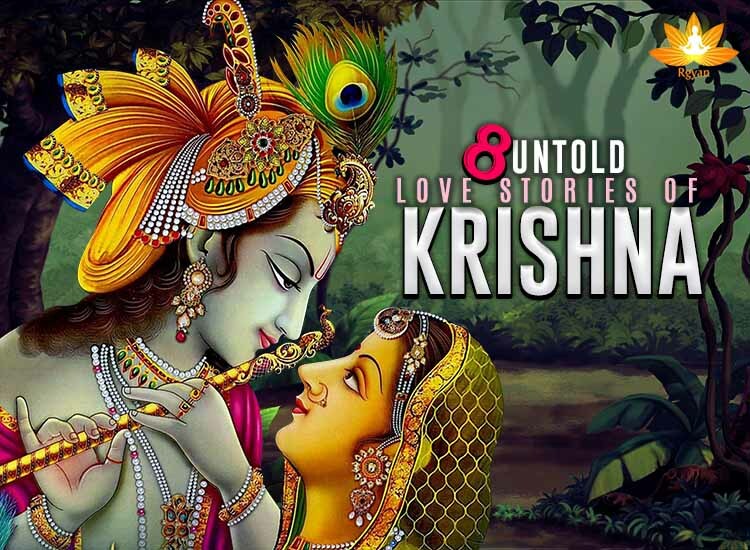 On the remarkable occasion of Krishna Janamashtmi, we are here with eight phenomenal untold love stories of Lord Krishna. The very first wife of Lord Krishna and the prettiest incarnation of Goddess Laxmi. She was the head- queen and thus held the most important position in Krishna’s heart. Rukmini was the daughter of King Bhishma of Vidarbha. She desperately wanted to marry Lord Krishna, but his brother Rukmi was against of the marriage. Finally, they had to run away and get married. They latter had ten sons. Lord Krishna’s Second wife was Jamvanti. Jamvanti was the daughter of Jamvant Ji. Lord Krishna was accused of stealing the precious gem-Mani. To prove that allegation wrong, he himself started looking for the gem. Then he came to know that the mani was with his one of the devotees of previous birth- Jamvant. 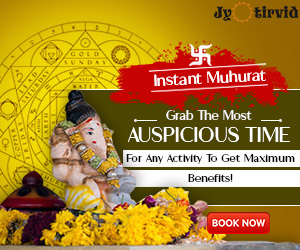 Jamvant did not recognize Lord Krishna and consequently fought with Him in disguise. During the brawl, incarnated Himself as Lord Rama and on this account; Jamvant gave the mani back at the same time announced his daughter’s Jamvanti official marriage with Lord Rama (Lord Krishna). The third wife of Lord Krishna was Satyabhama. She was the daughter of Satrajit who was the owner of that stolen Mani. Lord Krishna finally returned his gem that caused Satrajit ashamed and thus he apologized for the allegation. To regret for the same, he requested Lord Krishna to marry his daughter- Satyabhama. The daughter of Sun God-Kalindi was renowned as the fourth better-half of Lord Krishna. She penance hard with the desire to get married to Lord Krishna and thus God fulfilled his wish latter got married with proper marital ceremony. 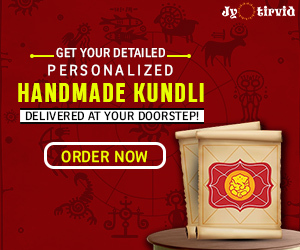 Kalindi used to live in a forest named- Khandava. This is the same forest where Indraprastha was made ‘five Pandavas’. His Fifth consort was Nagrajiti who was also famed as Satya. Nagrajiti was the daughter of King Nagrajit. The king Nagrajit organised a onerous Swayamvara for her daughter’s marriage. He already knew that it could only be achieved by Lord Krishna. The condition for triumphing Swayamvara was extremely weird and difficult as it was: the one who would be able to fight with seven crazy oxen in his sovereignty was capable of getting his daughter- Satya as her spouse. 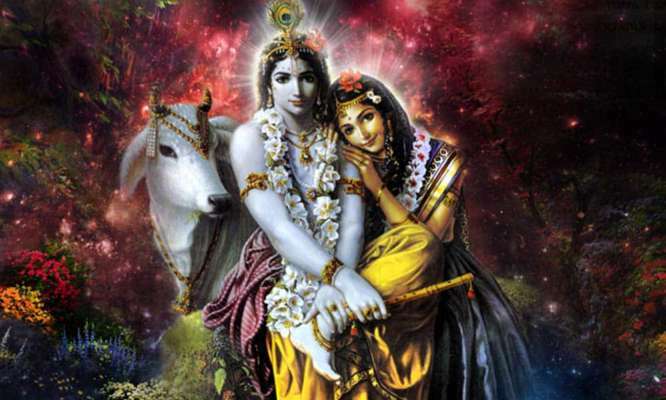 Lord Krishna fulfilled his condition and won the Swayamvara and got married to Satya. Lord Krishna also married Mitravinda who was his sixth wife. She was the sister of Ujjain’s distinguished kings- Vind and Anuvind. Both of them were followers of Duryodhana. In the Swayamvara which was organised for her marriage ceremony, she wanted to choose Lord Krishna as her husband, but Vind and Anuvind did not allow her sister to do so. Then, Lord Krishna seized Mitravinda from Swayamvara. 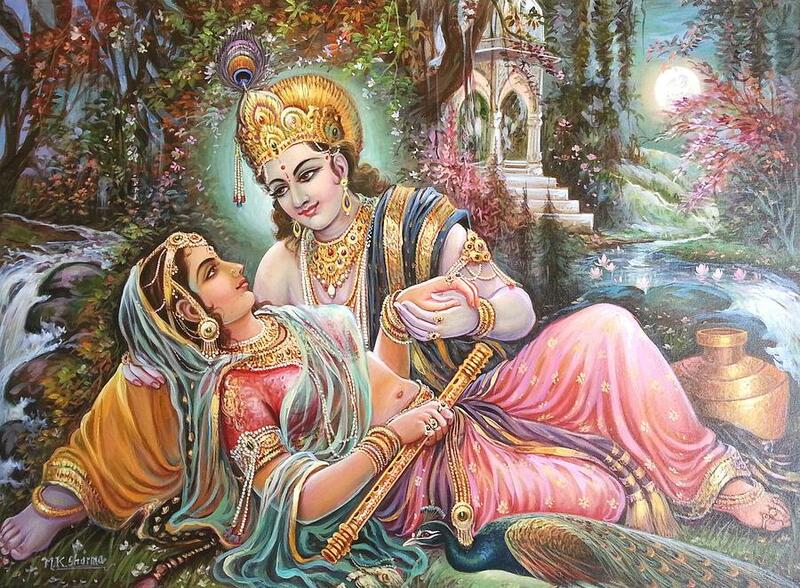 Lord Krishna’s Seventh wife was Rohini. In the mythological texts, she has also been named as Bhadra and Kaikayi many times. Rohini was the daughter of Ritusukrat and the Princess of the Kaekayi realm. During her Swayamvara, Rohini chose Lord Krishna as her husband and put garland around his neck. Lakshana was famous as the eight (last but not the least) wife of Lord Krishna. She was blessed with adept traits and splendid qualities She was the daughter of an unnamed monarch of the Madra kingdom. These pre-eminent ladies- Rukmini, Jamvanti, Satyabhama, Jambavati, Nagrajiti, Kalindi, Mitravinda, Bhadra, and Lakshana are popular as Ashta-Bharyas in ‘Srimad Bhagavata Maha Purana’. Lord Krishna married these charming women with proper rituals and divine sacraments. According to another legend, 16100 slaves (dasiya) were locked in Narakasur jail when Shri Krishna liberated them from imprisonment. No one in the society was ready to adopt them. In this adverse scenario, Lord Krishna proclaimed each of them as his queen and aided them in gaining their respect back. Wishing you all a very Krishna Janamasthmi. We wish all your prayers be answered and your all Dreams come true on this propitious occasion of Krishna Janamasthmi. May Lord Krishna shower his utter boons and immense blessings upon you.